Editor's Note: Navtej Singh has taken it upon himself to create a full guide to pronunciation of Gurbani. 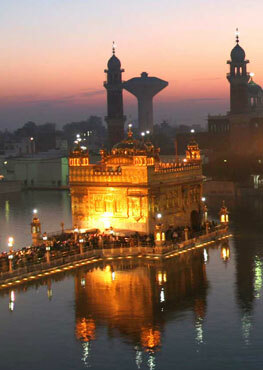 It is now featured on the SikhNet 'Sacredness of Gurbani' section. This is a comprehensive set of lessons on Gurmukhi grammar for anyone who is interested in furthering their understanding of the language. Click here to go to 'Gurbani Pronunciation'. I was born in the UK to Sikh parents who emigrated from India. Born and bred in the UK at the time where religious and cultural values were hidden from the westernised society due to fear of prejudice and rejection was extremely confusing. Why were we mocked because of our turbans, our long hair, our clothes, our food and our language? Growing up I feared about the future; what would happen to Sikhism with the UK. I searched for answers and directions. In the days before the internet this was proving to be a struggle. I encountered several turning points. At the age of 9 a teacher asked if I could read and write Punjabi; I couldn’t and she provided me that spring board to learn the language and I did. At the age of 13, I was asked by another teacher why I wore a bangle; embarrassingly I was unable to answer. Again this was another spring board and as I searched the answer, I asked my own questions. The thirst for knowledge grew immensely. I was shocked to discover that many of the elder members of my generation were just as ignorant. I had always assumed that they would be as knowledgeable and committed to Sikhism as my parents’ generation. How wrong was I? I felt embarrassed and disappointed. Growing up I watched both my father and my mother immersed in Gurbani. They were devoted selflessly to Sikhism. I would see my father often taking part of Akhand Paths. He would also research endlessly and often relay and tell me stories. My parents introduced me to Gurbani and always encouraged me in this direction. Consequently, as I searched for answers, I realised that the all my answers could be found in one place, the Guru Granth Sahib. I endeavoured to learn to read Gurmukhi. I have spent the last 15 years in various Gurbani Santhya classes and I will be indebted to these Giani’s who encouraged and taught me not only to read but also Sikh history. I have also spoken to various Giani’s from the local Gurdwara’s and again they have helped and guided me immensely. Recently I have seen videos on youtube namely by Giani Amritpal Singh – a huge inspiration.